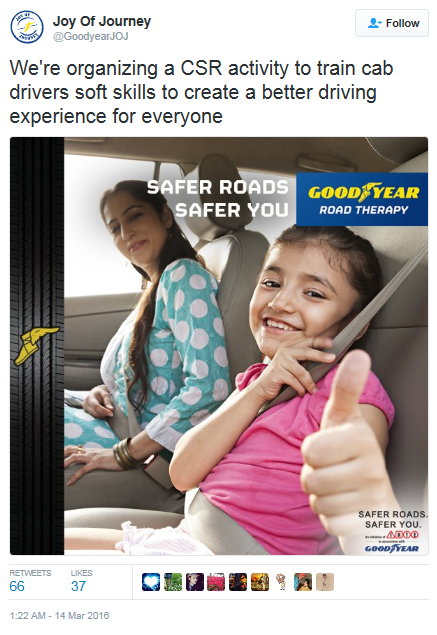 Goodyear Believes in Safer Roads, Safer You! Road safety is an important aspect in today’s ever-increasing traffic scenario across all cities—more so in the metros. 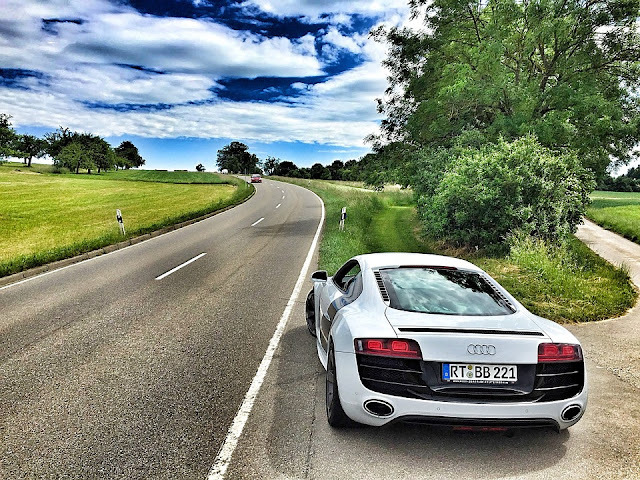 Road safety is not just about preventing accidents and reducing confrontations, but also about enhancing the overall experience whilst travelling on the roads. With that noble thought, Goodyear India has partnered with Institute of Road Traffic Education (IRTE) and introduced a road safety programme, aptly titled “Safer Roads, Safer You”. 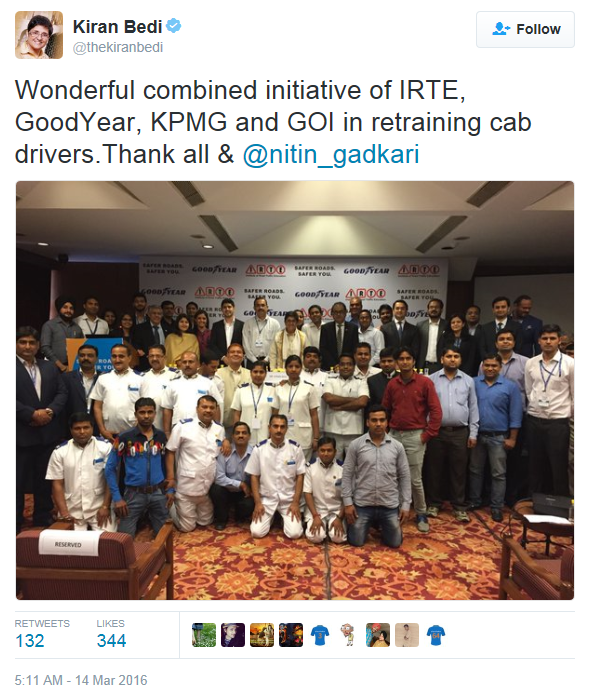 This unique road safety programme, a part of Goodyear’s corporate social responsibility (CSR) initiative, was introduced in December 2015 and focussed on training a sizeable number of 2,555 drivers in Delhi and Mumbai between December 2015 and March 2016. This involved offering complimentary road-safety related training to selected taxi drivers in Delhi NCR and Mumbai as the taxi industry plays a critical role in catering to tourism and to move passengers around the city on daily basis. Under the initiative, a one-day workshop was also conducted for a team of 20 taxi drivers to create awareness and cover critical aspects such as defensive driving, passenger comfort and safety, vehicle maintenance, personal management and incident management. The taxi drivers who volunteered to the training were also given an incentive of Rs. 500 along with a complimentary accidental death insurance policy of Rs. 2,00,000 and a certificate on successful completion of this workshop. 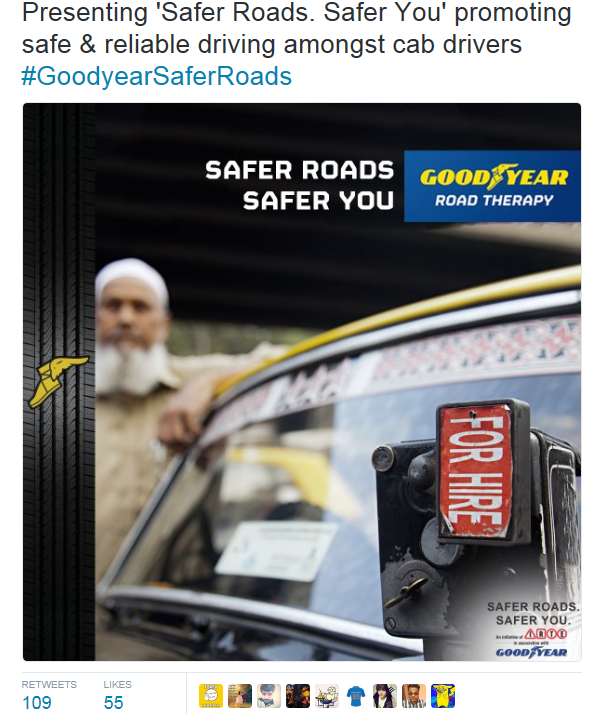 The official twitter handle of Goodyear, @GoodyearJoJ, also took to twitter to spread the road safety message. The initiative was also much appreciated by Ms. Kiran Bedi, celebrated former IPS officer and Magsaysay awardee and she too shared her words of appreciation on Twitter. Goodyear’s presence in India is more than 92 years old, with two tyre plants/companies, one each in Ballabgarh and Aurangabad. In the passenger car segment, Goodyear in India supplies tyres to many of the leading Original Equipment Manufacturers. Goodyear in India has been a pioneer in introducing tubeless radial tyres in this segment. In the farm segment, in India, Goodyear tyres are supplied to all the major tractor companies. For more information about Goodyear in India and its products, go to www.goodyear.co.in.